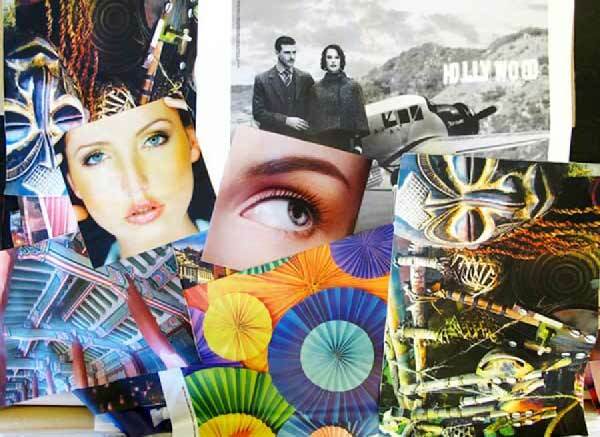 The sublimation printing system allows to customize the fabrics with the chosen image. This procedure consists in fusing chemically the ink with the textile fibers to achieve a high-quality and resistant finish. 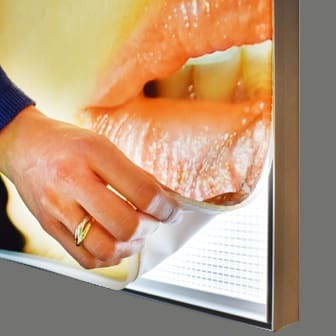 Range of advertising backlit boxes for wall or ceiling. 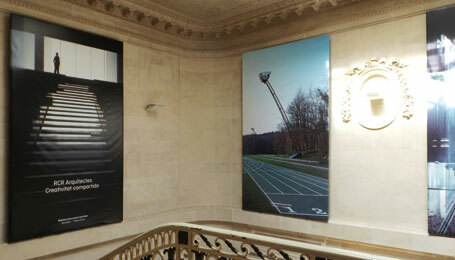 Striking walls or night showcases, that highlight your image at low consumption. 100% custom made. This line of frames can be attached to a wall or ceiling. 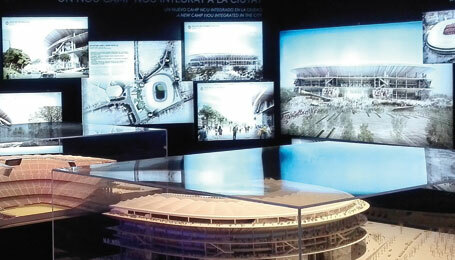 Structures for outlets, commercial or corporate deco, as well as stands assemblage or complement in events. 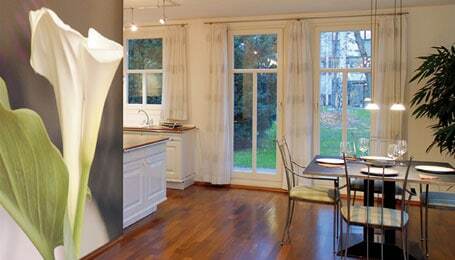 We have multiple options for interior deco. Because of the versatility of the elements and also for the wide range of options and finishes that fit all designs. 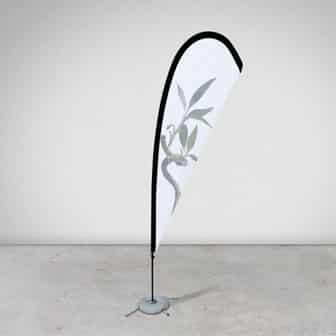 We have a great variety of flags and exhibitors designed for promotional actions and events. Wall and Stand up Models. 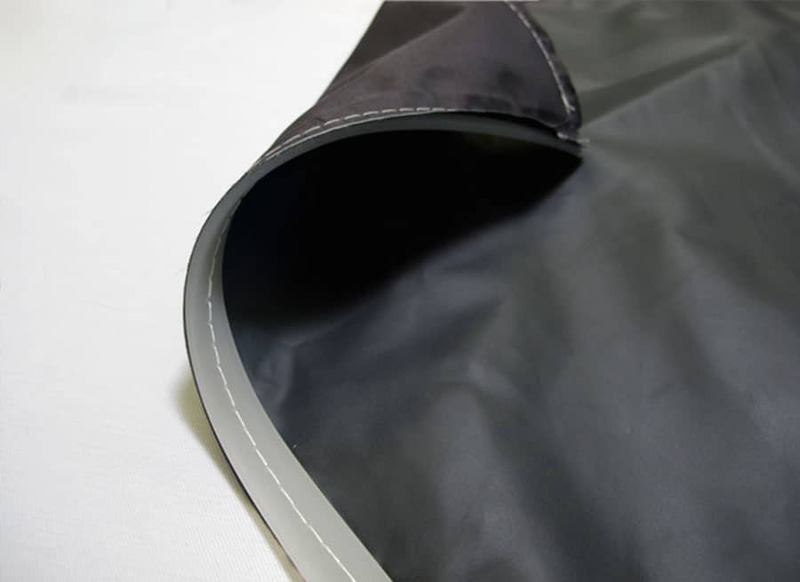 We have several kinds of finishes for the fabrics, also we offer a very high quality print services. What are the advantages of the Big size textile print? 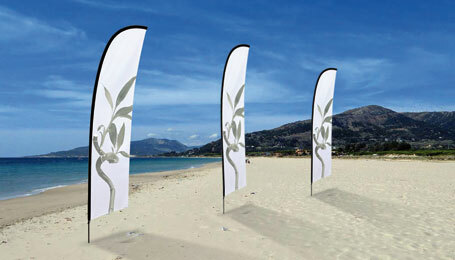 The main advantages of the big size printing are multiple: the very high quality of finishes, that can be printed in large dimensions, the variability of materials that can be adaptable to each need (pop-ups, backlites, stands, retail, etc), they are easy to bring, they have a lot of durability, and also that the most are washable and reusable. What are the appliances of printed fabrics? The textiles printed in HD are very versatile and can be applied in displays, textile stands, photo calls, flags and any type of advertising holder. 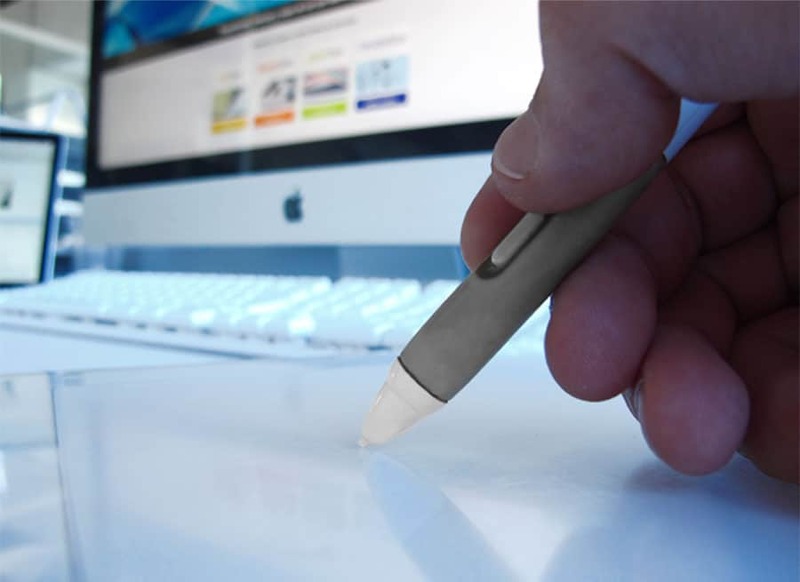 Is it the new trend in Retail decoration and commercial equipment? 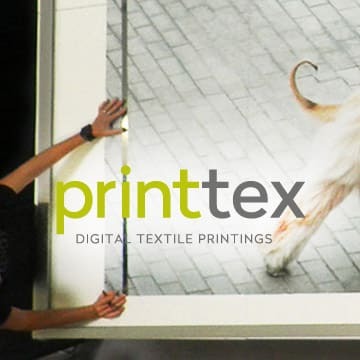 Yes, indeed, printed advertising on fabric is the latest trend in Retail advertising. And that’s since its warmth and quality, plus the ease assembly and bring, and its elegance. 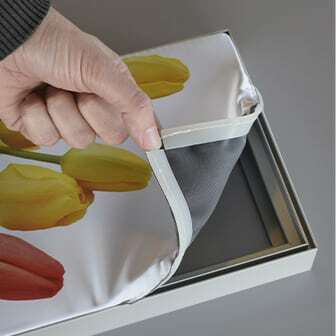 The printed fabrics for interior decoration systems have been placed in the 1st place for commercial equipment, as they suppose a wonderful material for events, stands or outlets. Currently we can see it in the stores of multitude of multinationals of status and are increasingly used in events and stands, for the reason that their color and the high quality image.